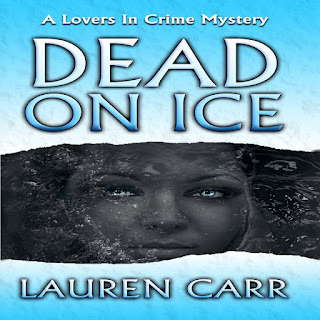 Description: Dead on Ice is the first installment of Lauren Carr’s new series (Lovers in Crime) featuring Hancock County Prosecuting Attorney Joshua Thornton and Pennsylvania State Police homicide detective Cameron Gates. 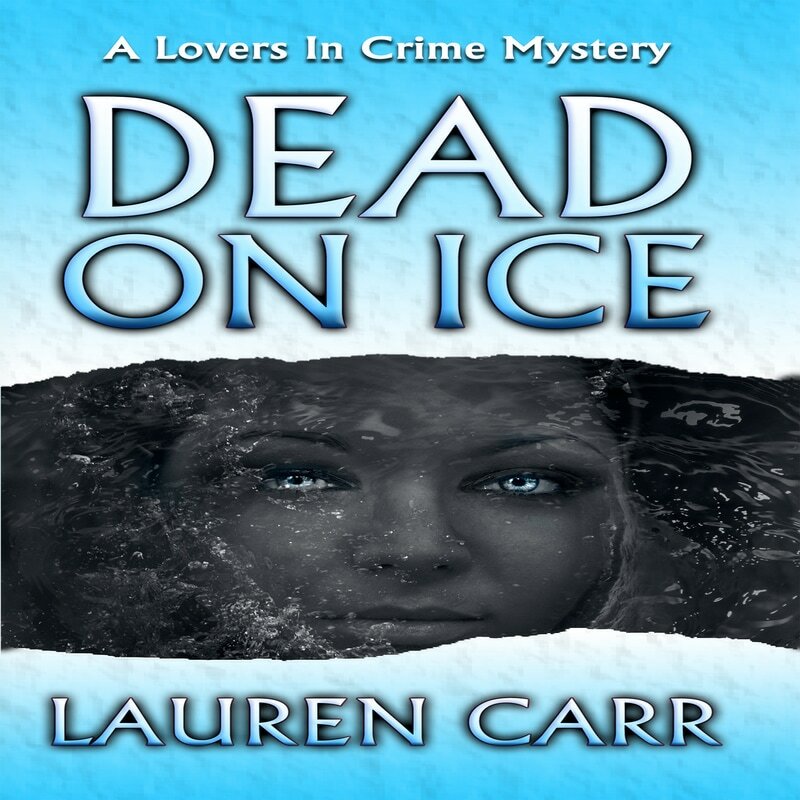 Dead on Ice is the first book that brings Joshua Thornton and his new girlfriend Cameron Gates together. This being that Cameron Gates is on the scene and investing Thornton cousin home and finds a bomb in the home. Who planted it? Also who planted Cherry Pickens in the freezer in Joshua Thornton cousin Albert home. Joshua goes along with Cameron while she investigates Cherry Pickens and then runs to have to solve Angie's murder. They do quite a few things. Donny get involved a bit as well. What would all of Cherry Pickens friends want her dead? Cameron Gates has to figure out who and why all would want Angie and Cherry dead? There are twists and turns to the end. Suspects are all over town in Hancock county. Will they find the killer of both Angie and Cherry? You will want to read to find out. Lauren Carr is one talented writer. She brings you along to find out who the killer is. One thing I love about her mysteries is that you never know who the murderer is? I have read a few of her books already and reviewed a few of them. 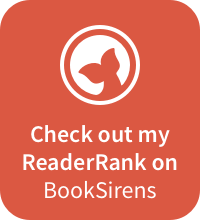 You are welcome to read my reviews that are part of this audiobook palooza. My reviews are Cancelled Vows, A Fine Year for Murder, Killer in the Band, The Murders at Astaire Castle, Candidate for Murder, 3 Days to Forever, Kill and Run, Old Love Die Hard, 12 To Murder, Open Season for Murder. Description: “It’s Ashton. Robin, it’s me, Ashton.” Spring is in the air. In Deep Creek Lake, the burst of blossoms on the trees has the effect of a starting pistol in the race to get the resort area ready in time for the seasonal residents return to Spencer, Maryland. This year, the Spencer Inn, Mac Faraday’s five-star resort, has the added duty of preparing for the Diablo Ball, an annual benefit event that used to kick off Deep Creek Lake’s summer season. The exclusive gala has drawn in A-listers from across the country—including suspects and witnesses connected to Ashton Piedmont, a young woman who had disappeared while skinny dipping in Deep Creek Lake five years earlier—days after the last Diablo Ball. Intrigued by a mysterious phone call from a young woman claiming to be Ashton, retired homicide detective Mac Faraday can’t resist diving head first into the cold case. But he’s not the only one. Someone behind the scenes has gone to a lot of trouble to bring Ashton Piedmont’s friends and enemies to the Diablo Ball—which promises to be a gala event to die for! Open season for Murder, Get you involved with a cold case from the beginning. You get brought in with a mysterious phone call to Mac. Who is the caller? We get all kinds of killers. We also get deaths at every turn. Why the Diablo ball? Who wants Carlyle dead or anyone else for that matter. Brian Galestar, comes about and his he as suspect to Lindsey York death? Who wanted Lindsey York dead and Jasmine Simpson? Reva Saint Clair is around as well. Who killed Aston Piedmont? You go for a ride with Mac and David on an adventure. We sure find out who good at solving mysteries around Spencer Maryland. 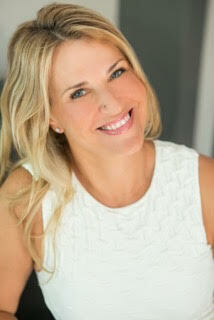 Lauren Carr plots are good and you are invested throughout the book. There's a story inside the main story. 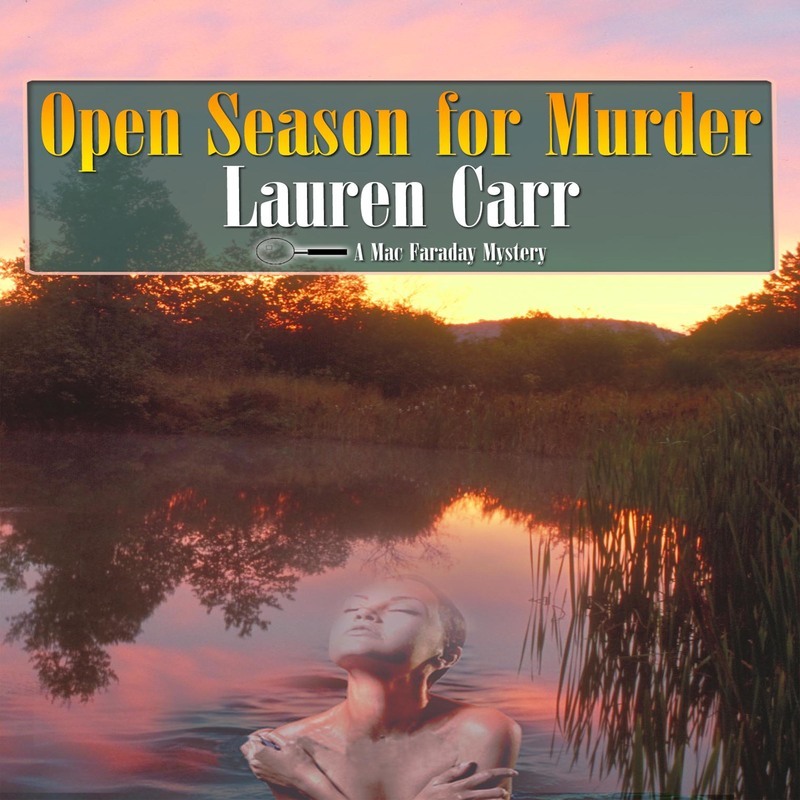 You get captive into the story and you will not want to leave these charters from this series or any of Lauren Carr mysteries. Lauren Carr is one talented writer. She brings you along to find out who the killer is. One thing I love about her mysteries is that you never know who the murderer is? I have read a few of her books already and reviewed a few of them. You are welcome to read my reviews that are part of this audiobook palooza. My reviews are Cancelled Vows, A Fine Year for Murder, Killer in the Band, The Murders at Astaire Castle, Candidate for Murder, 3 Days to Forever, Kill and Run, Old Love Die Hard, 12 To Murder. Description: In the second installment of the award-winning Horizon series, Dr. Caeli Crys returns to her war-torn world to fight for those she left behind. Almagest, Caeli's home, stands on the brink of revolution. Long hidden from the rest of the galaxy, the once-peaceful planet suffers under a regime that grows more violent and oppressive by the day. Marcus, Almagest's dictator, is building an arsenal of alien weaponry by selling empathic children into slavery. A resistance has risen, but they are outmanned, outgunned, and in hiding. 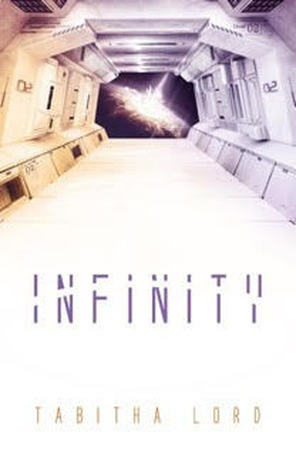 Infinity is the second book to Horizon. It times to return to Caeli home world. What is going on there and what is happening to her people? It is an adventure of it own. Will the resistance win the war or will the Dictator of Augestmast win. 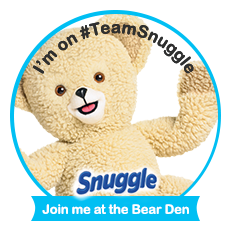 Caeli and her small group of friends want to help. They will assist Caeli and her people and their group of resistance mean. Is there a spy along the way for Marcus and his army. You will need to read to find out. Caeli comes back to help her group of resistance friends like Jon. What are they keeping them and what are they doing to the children. Will the people stand up and fight or will they let some tell them what to do? Will Derek and Cali love survive? A world is torn between them too. Derek love Caeli enough to stay with her? There are so many surprises and twist along the way, you will be to wanting turn the page to find out. Tabitha Lord give you adventure of your life and a book you will not want to put down. The plot is well written and done. You get a love story along the way. You get to know the crew as well as Derek and Caeli.